in 1999 with other martial artists including Chuck Norris. to men, women, children and law enforcement since 1960. Tremont School is also known as the Miyama Ryu Hombu Dojo. All our instructors are certified by Shinan Antonio Pereira Sr. or the Hombu Dojo. 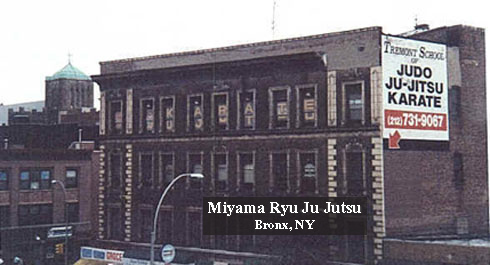 We are located at a new location and now the Hombu Dojo for Miyama Ryu!